Having spent the last few blogs telling you about Jane Austen’s ancestors and the house they developed which she visited in 1806, today I am going to share two more detailed stories of Jane Austen’s family. These are my favourite two stories from Jane Austen’s ancestral history. The first is Elizabeth Wentworth’s story – yes Wentworth as of Captain Wentworth fame from the novel ‘Persuasion’. 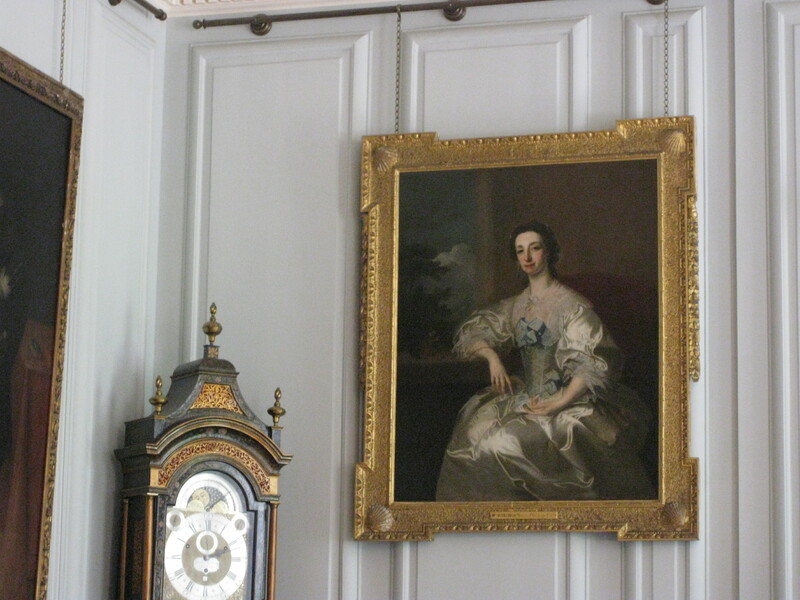 Well Elizabeth Wentworth was a deceased relation of Jane Austen’s from the generation before Jane’s birth and her portrait hangs in the dinning room at Stoneleigh Abbey. Jane could have and certainly probably did see it when she visited in 1806, and with a writer’s mind I can imagine her busy discovering all her ancestors’ stories while she was there – if she did not already know them. Also Elizabeth’s story would have still been fresh in 1806 and certainly Jane Austen’s mother would have known it. When you hear the links between Elizabeth’s story and that of Persuasion you’ll see there is a clear implication that Jane Austen was inspired by one to write the other. So let me tell you Elizabeth’s story. She fell in love with a young solider who was neither wealthy nor particularly well-born and therefore there was nothing to credit the young man to her family. When the idea of a match was suggested to her mother it was wholeheartedly denied and the gentleman in question sent away with his coattails between his legs. But being thoroughly in love with said young soldier Elizabeth refused to be denied and with the help of her (already married) sister wed her soldier. He then went off abroad ‘soldiering’ and none of the family were told of the secret marriage, both Elizabeth and her sister kept silent on the subject for more than two years. While Elizabeth’s husband was away other more suitable suitors were thrown at Elizabeth by her mother, invited to dine and presented at social events but of course Elizabeth – already secretly married – turned them all away. Meanwhile Elizabeth’s soldier worked hard and progressed up through the ranks, earning honours and acclaim and so when he returned to England he was no longer unsuitable but exactly the sort of man with prospects Elizabeth’s mother had been throwing at Elizabeth for the past two years. Now Elizabeth’s soldier was returned though, of course Elizabeth had to find a way to establish him as her husband without telling the secret and risking falling out with her mother and father. So she and her sister plotted and developed a plan to re-introduce her mother to the now successful soldier. Her mother had no idea that this ‘worthy’ individual with fortune and fame was the same man she had sent away as an utterly inappropriate match two years before. Elizabeth’s mother fell for the scam entirely and invited Elizabeth’s soldier (husband) to dine and then and there approved the match and they were officially married. So, as you can hear, the story is not the same as Anne Elliott’s in Persuasion but it is very similar to the way I write in that the real life story appears to have set a seed in Jane Austen’s imagination which has germinated into the story of Persuasion which was written in 1815 – 1816. Anne Elliott, Jane’s Austen’s character, did not marry her suitor when he was considered inappropriate, Anne just held a flame burning during the years he went away and made his fortune. Also Anne’s beau was not a soldier but a sailor, which was obviously Jane Austen’s preferred profession as her admired brothers were sailors. Yet the basic tale of an inappropriate suitor being sent away and returning still loved and now eligible is there in Persuasion. So on to my other favourite of Jane Austen’s relatives and this is a man much younger than her when Jane was 35 her cousin Chandos Leigh was 15. The reason that I find him particularly interesting is that he was a close friend of Lord Byron’s. Chandos was at School and College with Byron. 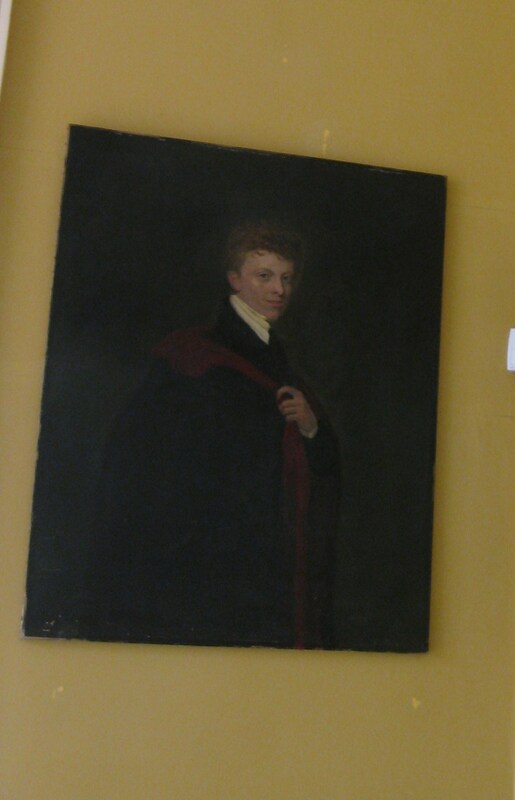 He went to Harrow and then to Christ Church, Oxford and was one of Byron’s trusted set. He wrote poetry, of course, but many of Jane’s family did write, and Chandos had some acknowledgement for his work but obviously achieved nothing like Byron’s fame. Chandos was one of those who dined with Byron on the last evening before he fled England on the back of scandal in April 1814. I would so have loved to be a fly on the wall to that friendship. Byron’s real life stories fascinate me but those stories I am saving until my books are published. The first is due to be published by Sapphire Star Publishing on the 2nd May 2013. Like the other friend of Byron’s, William Bankes, I covered in my history blogs, Chandos settled down to a married staid life once he’d finished his raking days with Byron and he inherited Stoneleigh Abbey and was made Baron Leigh in reparation of a line which had previous died out in 1839. (If you’ve read my previous blogs on Jane’s visit there in 1806, the Lady Saye and Sele, who is quite likely the person whom Pride and Prejudice’s Lady Catherine De Bourgh is modelled on was Chandos’s grandmother). 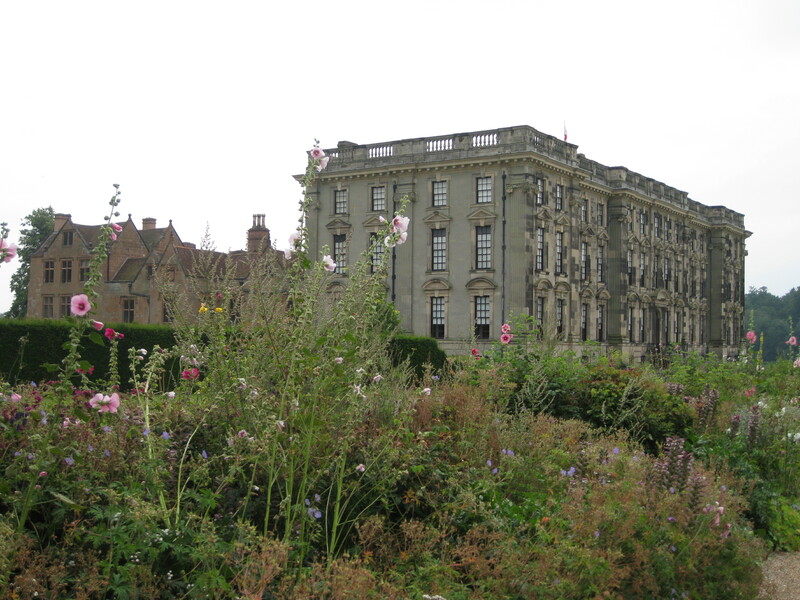 Yes, so Lady Saye and Sele got her way in the end and Stoneleigh Abbey came into the Saye and Sele line because Jane Austen’s cousin Reverend Thomas Leigh, who Jane had travelled with to claim his inheritance, never married and so had no descendents. Posted on September 26, 2012 by janelark •	This entry was posted in Georgian Stories, Jane Austen, Lord Byron, Regency Stories and tagged 1700s, 1800s, 18th Century, Historic Houses, history, Jane Austen, Jane Lark, novels, Persuasion, Pride and Prejudice, regency, regency books, Stoneleigh Abbey, writing. Bookmark the permalink.